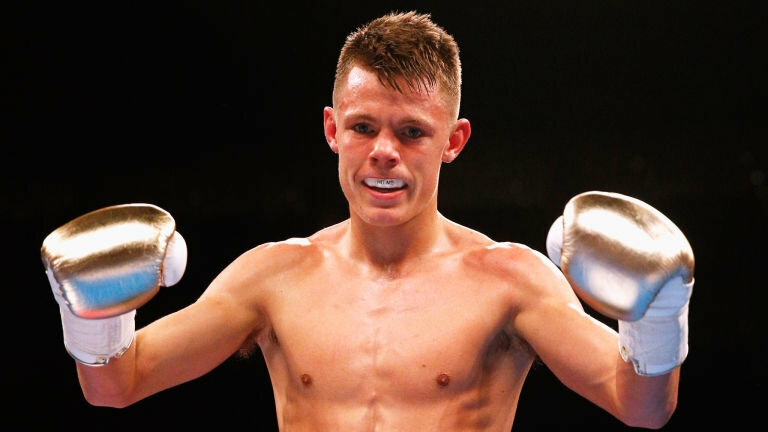 WBC flyweight champion Charlie Edwards 14-1 (6) is targeting a unification bout with WBA counterpart Kal Yafai 25-0 (15). But first the 26-year-old from Surrey must get past former sparring partner Angel Moreno 19-2-2 (6) of Spain in the first defence of his titles at the Copper Box Arena this Saturday, live on Sky Sports in the UK and DAZN in the US. Yafai, 29, is scheduled to make a mandatory title defence against Norbelto Jimenez 29-8-4 (16) at New York’s Madison Square Garden on June 1 on the undercard of the heavyweight title fight between Anthony Joshua and Jarrell Miller. “He’s on the radar, 100 percent,” Edwards said. “It could be next because I would have it next, but I know he won’t, so it probably won’t be next. I don’t think he wants to entertain me at all. He made that pretty clear during the year when I was trying to call for the fight. Edwards said he is prepared to return to the super flyweight division in order to become a two-division champion. “When I moved down to flyweight, I stated to [promoter] Eddie [Hearn], I’m ready for anyone and everyone, and that’s why he gave me the number one flyweight in the division, and I went and did the performance that I did, and now I’m the number one,” he said.